As a child, knowing that I was Irish made me feel like I was one of the chosen ones. My father, born to Irish Catholic immigrants in 1916, instilled that heritage into his daughter’s heart from the time I was three-years-old. He loved to remind me just how special that was. For years, I believed this and felt that St. Patrick’s Day belonged to me, more so than my classmates. The world was my treasure chest filled with Celtic jewelry, Belleek China, and rainbows leading to a pot of gold because of my illustrious lineage. One day when I was 13, my mother came burst my amazing green bubble. For several years following the bubble burst, I wondered why this fixation on his heritage was so important. Heaven knows there’re enough jokes circulating about his nationality to make one wonder— Irishmen drink too much, spend too much time on their knees in church, eat boiled food, and sing “Oh Danny Boy” at the top of their lungs, even when they don’t know all the words. 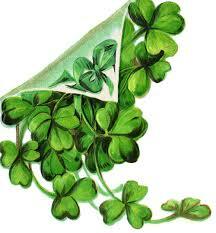 But being Irish also means having an indomitable spirit and an inherent hunger for justice and freedom. My grandparents were dirt poor when they came to San Francisco in the mid 1800′s. Known as “Irish Niggers,” these new Americans set out to prove their worth and fought to be recognized as hard-working men and women of faith and devotion to their family. Somehow surviving the Great Depression with little or no income, my grandparents made sure their three children had Catholic educations and my father was the first in his family to obtain a degree at St. Mary’s College in Moraga. While my own life has had its difficult moments, I have never known such adversity. My parents made sure of that. I was blessed with a childhood where all my basic needs were met. I never wondered where my next meal would come from; parochial education was standard for all four of their children, and higher education at prestigious universities was not just a fantasy but a requirement. So why do I still get jazzed about this one-day in the year since discovering I’m a 50/50? Some friends might say it’s just another excuse for me to party. While I must admit I love celebrations, I get excited about March 17th because I see it as a commemoration of mankind’s unconquerable will to survive and thrive. The human spirit should always be rejoiced. So this St. Patrick’s Day, I plan to paint shamrocks on my face, wear green clothes, sing “When Irish Eyes are Smiling,” even though I don’t know all the words, and drink green wine (I hate beer). I will dance a jig until I have holes in my shoes and then get down on my knees and pray for everyone who is facing a personal struggle that they too gain the strength to rise above— just like the Madden clan. Even though his percentage might have been slightly exaggerated, my dad was right! I’ve been blessed. I’m sure you have a story to tell about your family history. I’d love to hear it!